This announcement was part of April Fools' Day 2019: https://en.wikipedia.org/wiki/April_Fools%27_Day. Fortunately (or unfortunately?) 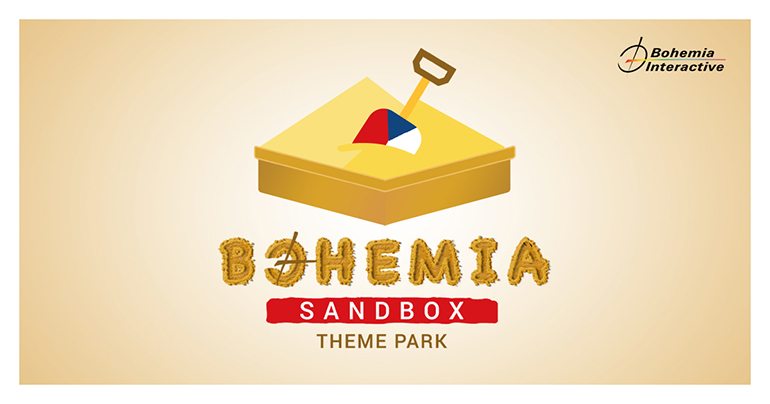 the Bohemia Sandbox theme park isn't real. Thanks for a good laugh, everyone! Bohemia Interactive today shares its ambitious plans for a new theme park called Bohemia Sandbox, which looks to bring the joy and excitement of the developer’s video games into the real world. Situated in the north of the Czech Republic, the theme park will initially be divided into four separate zones. Each of these areas is designed to capture the essence of one of Bohemia’s most popular games and/or franchises. DayZ World spawns visitors right into the environment that inspired the iconic Chernarus terrain, and promises a series of wild roller coaster rides to endure. This includes the world’s longest roller coaster ever, which will take you up and down for over 5 hours, until it finishes right where it started. Another planned roller coaster bears the moniker we /r/dayz and is destined to sometimes go off the rails. Aside from roller coasters, visitors will be able to enjoy a variety of themed food and beverages, such as canned beans, rotten fruits, cultured human meatballs, and unfiltered mineral water with E. coli supplements. Aimed at people of all ages, Ylands Island will be located in the park’s central lake, and represents the very definition of Bohemia Sandbox. This cheerful region can only be reached by boat, which visitors will need to craft by themselves. Those who manage to arrive at Ylands Island can wander around aimlessly or try out a number of early access attractions. But the real fun lies in building your own custom rides – using the materials that lie scattered across the island, and the power tools that are available for purchase in the Ylands Store. Bohemia also plans to organize a daily ‘battle royale’ event on Ylands Island, in which the last family standing wins a free dinner at DayZ World. Vigor Kingdom does not require a park ticket and will be completely free to enter. However, visitors will be required to hand in 19.99 personal possessions when they first get in. These are then distributed across Vigor Kingdom’s detailed recreation of a 90s post-war Norwegian landscape, where they may be claimed by whoever finds them first. Additionally, people can earn new loot at the Grindfest funfair. Here, Outlanders can compete in quick draw encounters at Herr Clunkie’s shooting gallery, try their luck at grabbing a Supply Drop from the claw crane vending machines, or repeatedly go on carousels and Ferris wheels that symbolize Vigor’s core game loop. The Arma Verse region will primarily focus on the most popular component of the Arma series: the Life mods. By participating in the world’s largest live action role-playing (LARP) event, visitors get to physically experience that what most people playing video games try to escape. They can farm the land, work in the coal mines, become a first responder or career criminal, or take on law enforcement without any education or qualifications whatsoever. As an homage to the series’ military roots, the Arma Verse will also still host a variety of tank, jet, and walking simulation rides, as well as a gravity-defying drop tower that celebrates the games’ much revered collision physics. Besides the four park regions, Bohemia Interactive is developing a suite of complementary services to foster community interaction and connect the in-park experience with the online world. Sandbox visitors will be able to share their adventures via the dedicated Twats.tv live-streaming platform, engage in both text and voice conversation using a free VoIP solution called Discust, or enroll in one of 1337 etiquette classes as part of the FIX THE PLAYER initiative. Moreover, Bohemia is evaluating the integration of the third-party MiddlFinger anti anti-social system. This sophisticated predictive policing program is able to detect when visitors are about to violate one of the park’s rules, and can issue a lifetime ban to prospective offenders whenever it deems appropriate. Naturally, in continuation of the company’s signature modus operandi, Bohemia Interactive will also draw upon its community’s wealth of armchair expertise to make decisions for future park improvements and additions. Plus, in the spirit of modding, there are already plans to make the technical blueprints and 3D models of all of the park’s rides freely available and to eventually open up an additional Workshop park region where hobbyists can unleash their creativity by building attractions that are prone to crashes and are likely to drain the park’s overall infrastructure and resources. To start the development of its Sandbox, Bohemia Interactive has purchased a plot of land that spans approximately 13 square kilometers, and obtained all of the required permits from the relevant authorities. Site preparations should start early next month with a 6.66 CZK(Kč) billion construction budget made possible due to an investment from Vrana Industries, Incorporated. In return, Vrana Entertainment, a subsidiary of Vrana Industries, has received the exclusive rights to operate the planned Bohemia Sandcastle hotel, which will start to take reservations once park tickets go on sale. Further details regarding Bohemia Sandbox and the park’s scheduled opening in 2024 will be shared soon™.